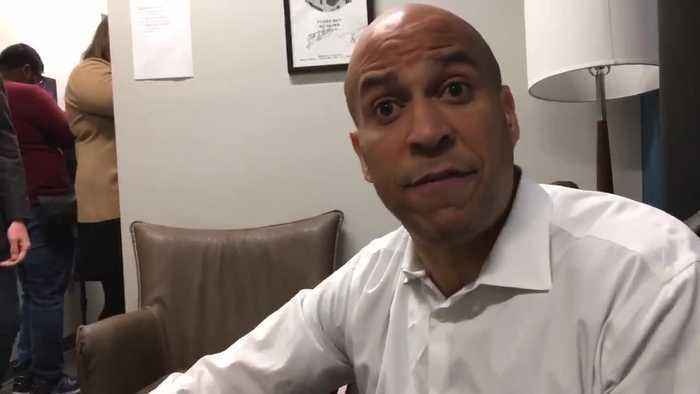 &quot;If there’s any emergency at the border, it’s the one he created, the crisis he created,&quot; he said in an interview with Fox News at the time, referring to President Donald Trump. 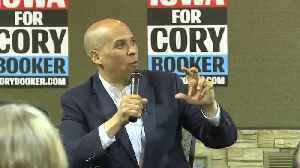 In a stunning but not unprecedented reversal, on Tuesday Democrat presidential candidate Sen. Cory Booker finally admitted that a crisis exists along the southern U.S. border. 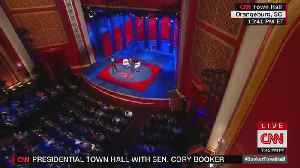 He even urged his fellow..
CNN&apos;s Don Lemon tells Dem presidential candidate Sen. Cory Booker &quot;nice job&quot; during commercial break. 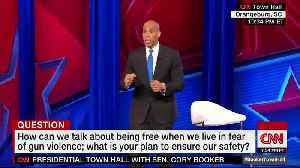 At a CNN-hosted town hall event Wednesday, Democrat presidential candidate Sen. Cory &quot;Spartacus&quot; Booker vowed to wage war against the National Rifle Association if he&apos;s..
Hillary Clinton, the former secretary of state and 2016 Democratic presidential nominee, said she is not running for president in the 2020 election. 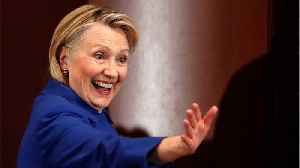 Clinton said she was still &quot;going to keep..